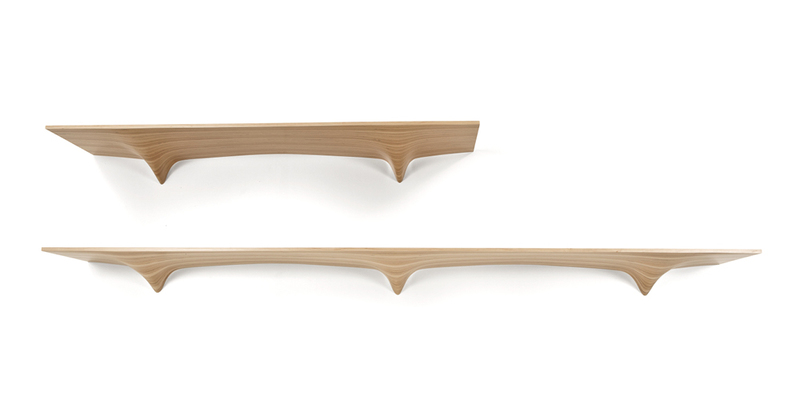 The Ply Shelves are an apparently simple design, which is more complicated under the surface. 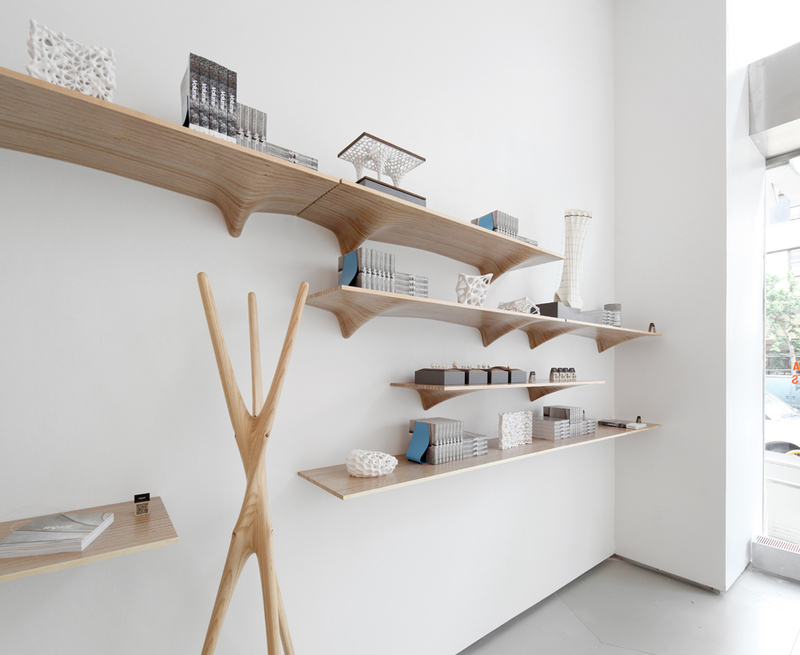 Resembling the conventional wall mounted bracket shelf system, this design morphs these separate entities into a singular, yet variable thickness shelf. 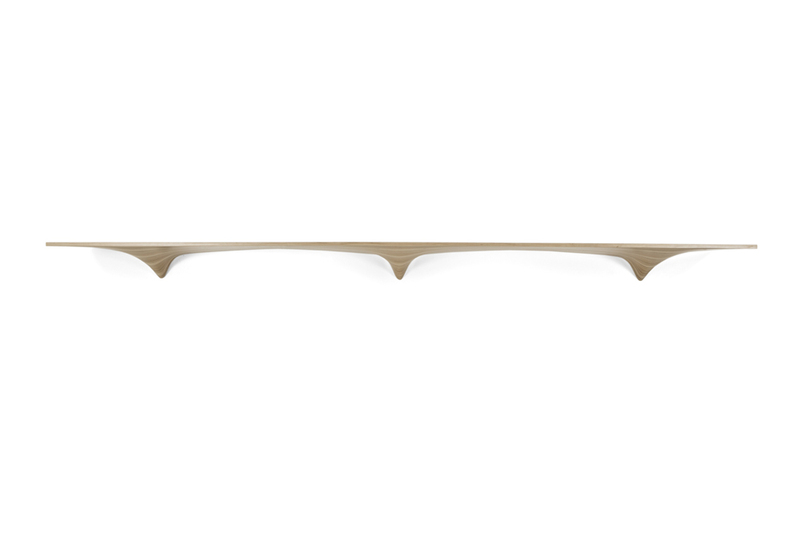 The brackets are spaced at sixteen inches on center in order to align with wall studs. 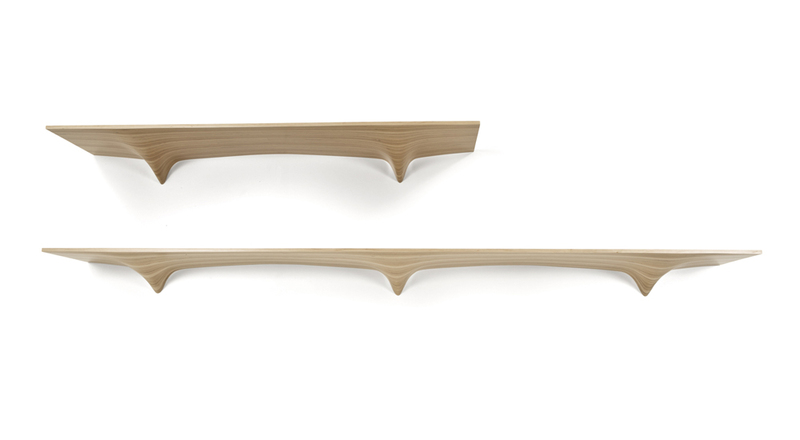 Between these brackets, a digitally relaxed surface is generated in response to structural calculation. 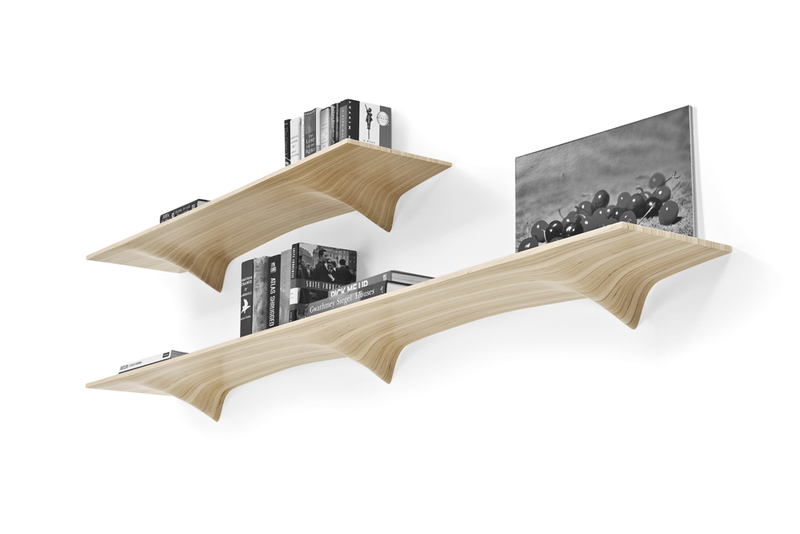 Constructed of laminated plywood sourced from managed forests, these shelves are created using 3-D models and CNC-milled parts with low-VOC finishes and carefully optimizes material yield to reduce waste. 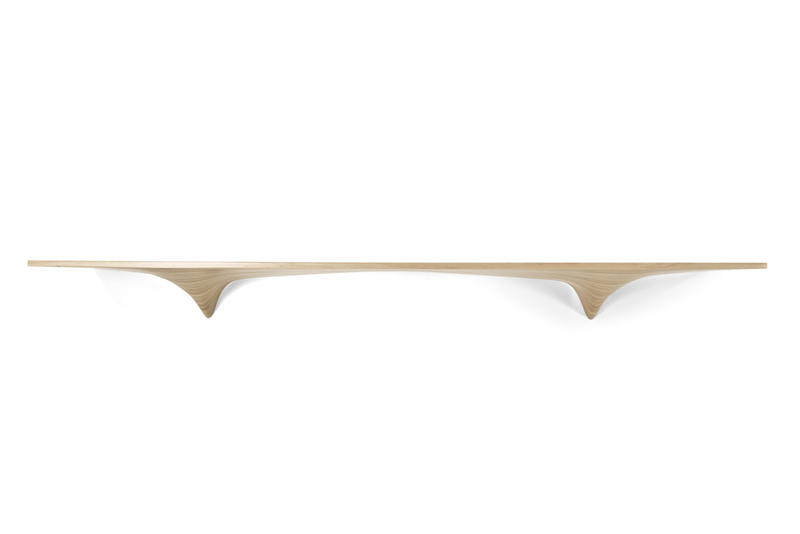 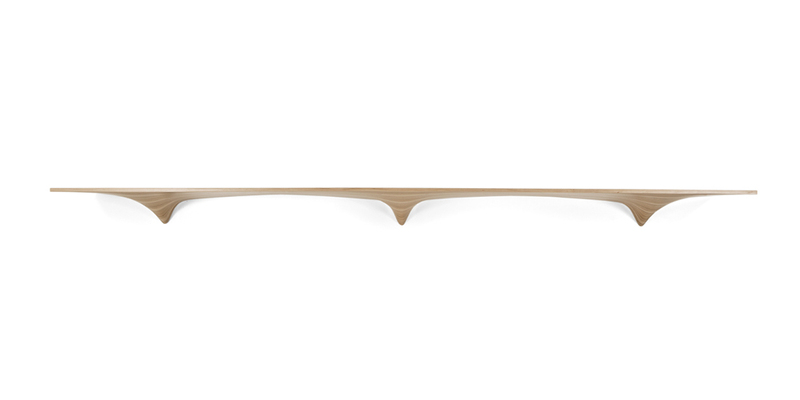 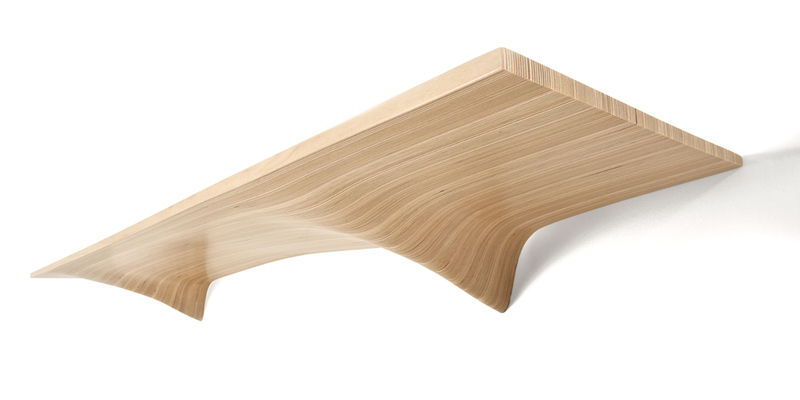 The Ply Shelves have won the 2011 'AZ Awards' for furniture design and the peoples choice award. 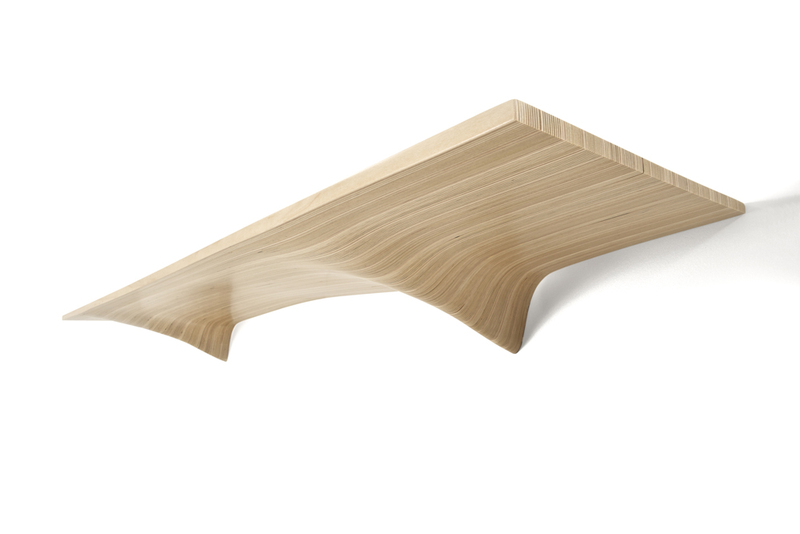 In addition, they have been awarded the 'Product of the Year' for 2010 by Architectural Record. 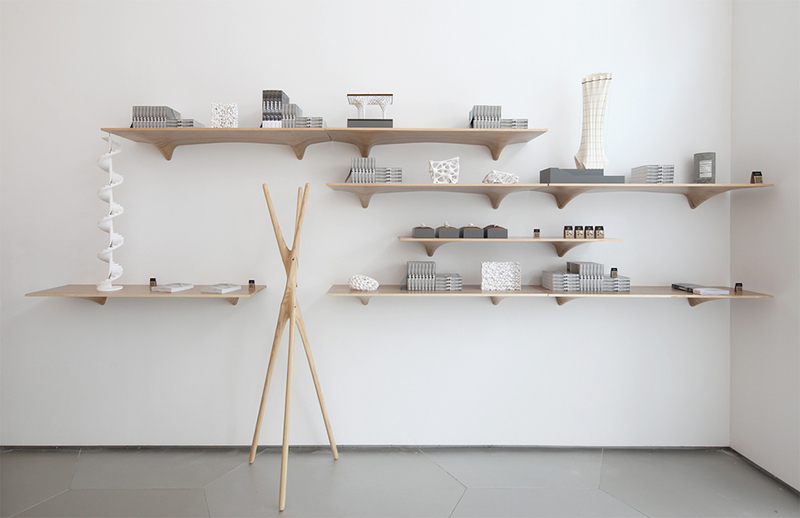 Further Information on the Ply Shelves can be found in our publication 'Range'. 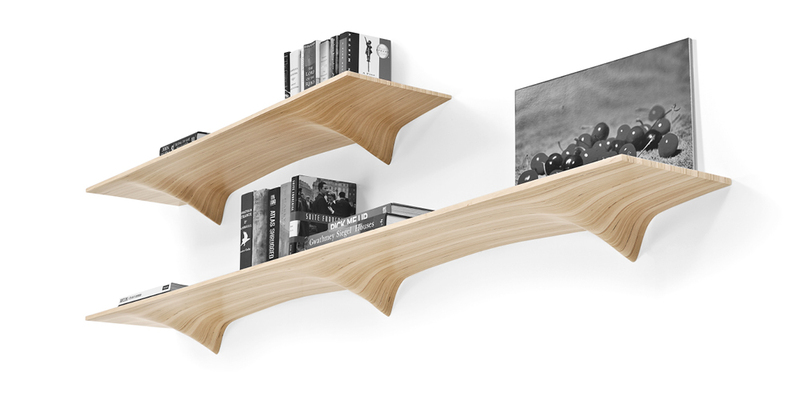 the Ply Shelves are also available for purchase from our online store. size: 48" x 12" x 6"